Update: Philip Anschutz, the CEO of AEG, who gave over $1,000,000 to Republican candidates in the 2016 election cycle, responded to anti-equality accusations against him. Tickets for Coachella 2017 sold out in a speedy three hours on Wednesday, off the back of the announcement that the yearly California festival will be headlined by Beyoncé, Radiohead, and Kendrick Lamar. That money goes to AEG, a company founded by oil and entertainment magnate Philip Anschutz. 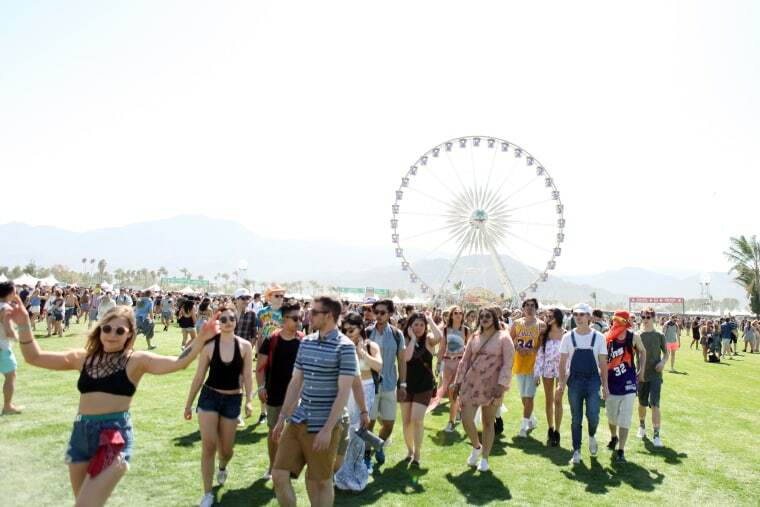 AEG and Anschutz own part of the Los Angeles Lakers, several arenas around the world, and many of the world’s biggest music festivals, including Coachella. Anschutz also happens to be one of the United State’s biggest Republican donors and has historically given to organizations designated as extremist hate groups by the Southern Poverty Law Center. In the 2016 election season Anschutz and his wife Nancy donated $1,012,000 to various candidates and PACs, all of which were Republican or Republican-aligned. That million dollar plus total made them one of the 100 families who donated the most money during this election cycle, according to OpenSecrets. AEG did not immediately respond to a request for comment. According to the Federal Election Commission, Anschutz gave $500,000 to the Senate Leadership Fund, a Republican Super PAC that spent $83 million dollars campaigning against Democrats in the 2016 election cycle. Anschutz also gave $20,000 to John Bolton’s Super PAC which heavily campaigned on behalf of New Hampshire’s Kelly Ayotte and also spent $125,000 running ads against Catherine Cortez Masto, who just became the first Latina U.S. Senator. Anschutz didn’t make any direct donations to Donald Trump during the election. In fact, as Forbes reported in March, he was present at an infamous think tank conference alongside Tim Cook, Elon Musk, Paul Ryan, and Karl Rove, where there were talks about how the attendees could band together to stop Trump from obtaining the Republican nomination. The same Forbes report noted that “[Anschutz] won't talk about politics, but it's clear that Trump's bombast is a turnoff.” However, it is worth noting that Anschutz gave $2,000 to Vice President-elect Mike Pence in 2006. Coachella’s three headliners — Beyoncé, Kendrick, and Radiohead — have been outspoken about liberal politics throughout their careers. Beyoncé campaigned for Hillary Clinton during the election and is a personal friend of the Obama family. Lamar visited the White House multiple times and has had one-on-one meetings with President Obama in the Oval Office. Radiohead has been heavily critical of conservative lawmakers throughout their career, and signed an open letter in 2016 opposing the Dakota Access Pipeline. Representatives for Beyoncé, Kendrick Lamar, and Radiohead did not immediately return a request for comment. In a statement issued to The FADER, Anschutz did not deny that money from his foundations funded anti-LGBTQ organizations. He said that once he has heard of these donations, he and the foundation "immediately ceased all contributions to such groups." “Recent claims published in the media that I am anti-LGBTQ are nothing more than fake news – it is all garbage. I unequivocally support the rights of all people without regard to sexual orientation. We are fortunate to employ a wealth of diverse individuals throughout our family of companies, all of whom are important to us – the only criteria on which they are judged is the quality of their job performance; we do not tolerate discrimination in any form.